Photo of the day: LET’S GO RANGERS ! ! ! ! This entry was posted on May 30, 2014 by newyorkcityinthewitofaneye. 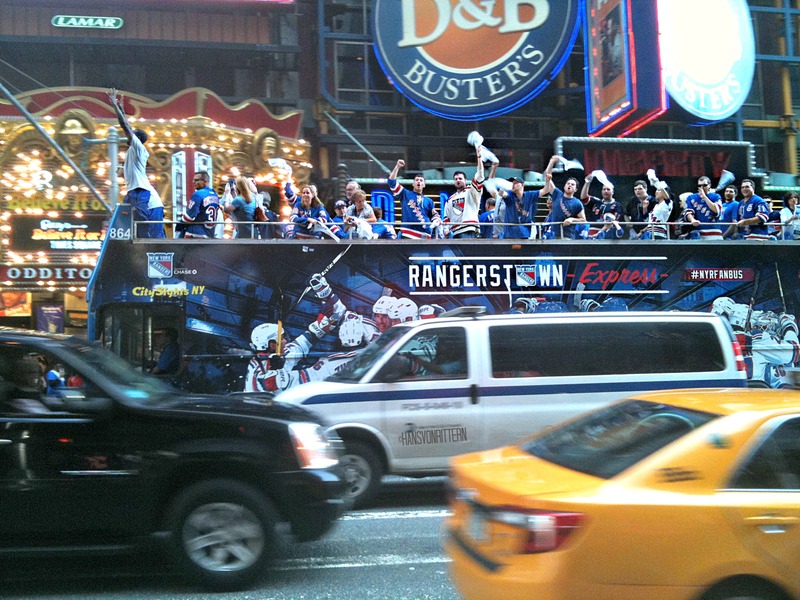 It was filed under DAILY PHOTOS WITH STORIES OF NEW YORK CITY and was tagged with 42nd Street, Broadway, GO RANGERS, Hans Von Rittern, Manhattan, New York City, New York photo, Photo of the day, photography, Rangers fans celebrating on double decker bus in New York City, Rangers fans in Times Square, Rangers hockey finals, Rangers Hockey Team, Rangers Hockey Team 2014, sports, Times Square.